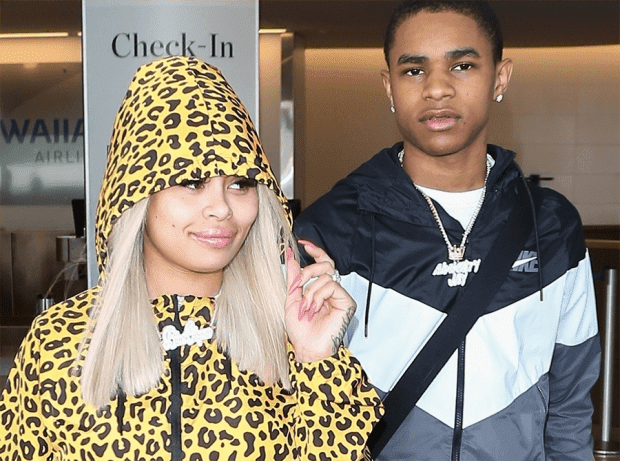 She and her 18-year-old boyfriend, YBN Almighty Jay are expecting their first child together. So far, Chyna has two other children for the time being, one by Rob Kardashian and another by Tyga. And the couple seems to be REALLY happy about it. 29 year old Chyna stepped out yesterday showing off her two and a half month along BABY BUMP. 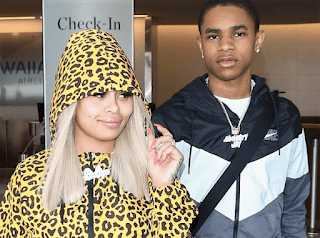 Chyna was wearing a Married to the Mob brand cheetah print outfit for her flight to Los Angeles at LAX with her boyfriend YBN Almighty Jay. She smiles for the cameras and at one point rubbed her stomach. Congrats to the happy couple if these news actually turns out to be true.